Where do the canned food come? 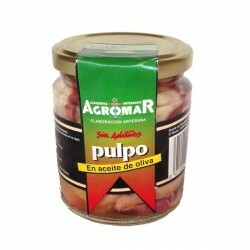 Located in the coastal town of Gijon, AGROMAR is a small company whose principal activity is the manufacture of selected canned seafood delicatessen. 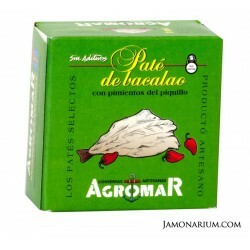 Agromar also has a second brand, ARBEYAL, dedicated to the production of cooked traditional dishes and pates of the Asturian regional cuisine. 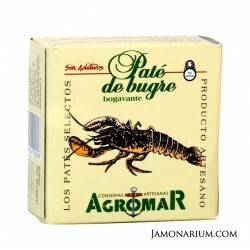 Agromar experience goes back more than 50 years ago in the sector of canned food. With flavors that today represent a major reference in the market, both nationally and internationally, Agromar specializes in high quality "gourmet" food. Throughout his entire career, Agromar with over 50 years of experience, continues to offer high quality products and precooked canned dishes. 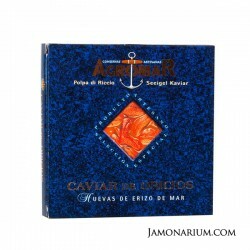 It was in 1948 when the trajectory and long-haul of Agromar starts, particularly when Armando Barrio Mata, born in Gijon, comes up with the packaging roe sea urchin and at that time this product was very abundant in the Asturian masons and beaches. The commercial potential of the product were out of the idea of Armando Barrio, initially intended for home consumption and as gifts. However, the success of the product reached the market and began his career and business development. 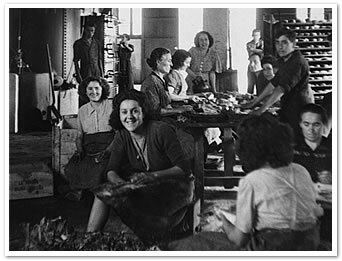 Previously, back in 1920, Armando's father also had contact with canned, and that by that time there were many small canneries along the Cantabrian coast. Armando himself manufactured and marketed salted fish, perhaps the most handmade of the canned. In 1968, Armando registered the brand and 21 years after arise what we now know as AGROMAR, a young, innovative corporation. Thanks to the products the Cantabrian coast offers, Agromar enjoys the finest and best raw material for the manufacture of its products. The factory, located along the coast, is committed to the tradition and respect for the nature. 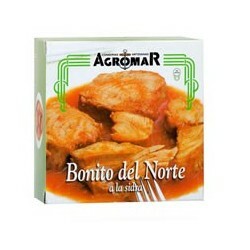 The success of the typical Asturian cuisine contributes to the rapid growth of the company, consolidating a strong presence at regional level and largely explains what AGROMAR represents today. Pioneer one more time, AGROMAR transferred famous and renowned dishes from the regional cuisine. For the first time, Asturian people not have the chance to enjoy pre cooked flavorful dishes tradition and dedication; lifelong recipes that recall old times. The fully craftsmanship allows us to enjoy a mouthful of the wild sea, virgin and abrupt as it is the Cantabrian coast. 5. Where do the canned come from? The tinplate was invented by an Englishman whose name was Peter Durand. In Spain we met the canning food because of a French ship, that was shipwrecked in the Costa da Morte. 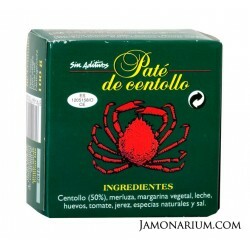 The following year there were a cannery in Galicia. With changing times came new ideas and new needs have driven Agromar steady growth in recent years, both in sales and product range and production capacity, facing new challenges and addressing highly competitive international markets. 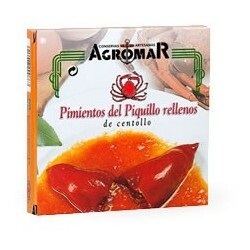 Successful Agromar products and their clear positioning in the "gourmet" segment, have made their preserves are present today in the finest restaurants and shops Delicatessen in Spain, France, Italy, Germany, UK, Mexico, USA and Hong Kong, which is the best reward for the work of many years, and an encouragement to continue working with dedication and care. 1.2 kg of steaks, cut thin. 1 can of lobster pate. We mix the pate and cheese in a bowl. We extend the steaks and we spread the pate and cheese mixture. We roll and keep it. In a saucepan, over low heat fry the grated onion, garlic and bay leaf with olive oil, and when it is well poached add the flour, move, add wine and the small steaks in oil, cover and cook 30 minutes. Add a pinch of pepper and move. To not let the roll mess up, join the with a toothpick before putting into the pot. Cook until tender. In a pot will put the octopus with oil, better if the pot is tall and narrow. Also in the same pot we will put the chillies and garlic. We'll put on very low heat to be about 70-90 ° C confit. We know that this temperature does not exceed the absence of bubbles rising to the surface of the oil. Add the whole and unpeeled potatoes into the same pot and let it cook until the potatoes are done. The next step is to drain the octopus and potatoes. 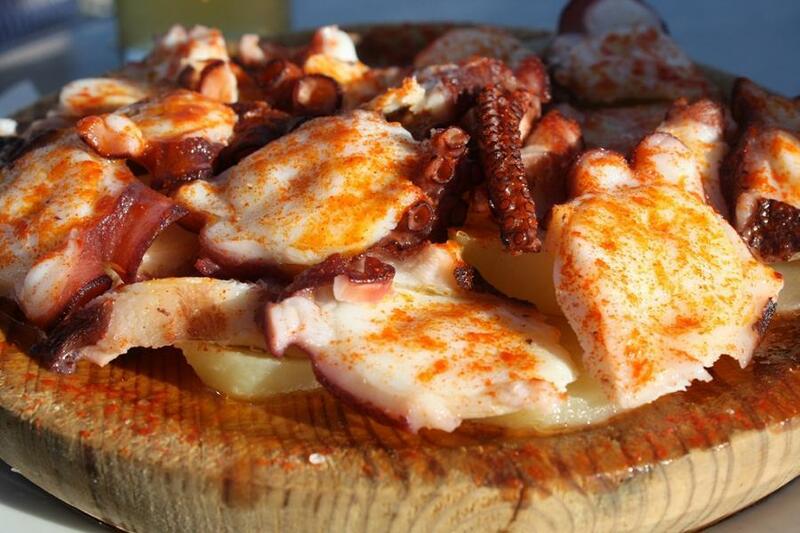 Cut the potatoes into slices and mount on a plate, putting potatoes based on the bottom and octopus above. Season with cayenne pepper and paprika moistening everything with a splash of extra virgin olive oil and a few flakes of salt. First, we peel the shrimps, chop the meat (not too much) and keep their heads. In a casserole with two tablespoons of olive oil add the heads when the oil has smoked. To simmer, stir a bit. Remove and keep. In that same oil, add the shallots and nut butter, cover with albal and leave over low heat until confit. Add the minced meat of shrimps and medium glass of white wine to simmer. Incorporate the sea urchin caviar and stir, away from the fire. Add the two eggs, salt and parsley to taste, leaving curdle over low heat. Optional put between two puff pastry, the presentation will be amazing.